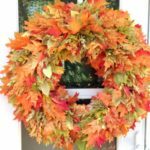 Having a beautiful wreath hanging on your entrance door is a great way to welcome guests and visitors and it makes a wonderful addition to your home’s decoration. 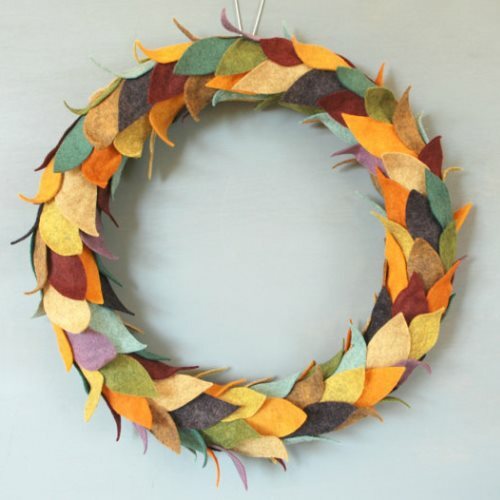 Making this gorgeous felt leaf wreath is perfect for celebrating the coming of this special and colorful season of the year. It is a little bit time-consuming because of the felt leaves that have to be prepared, but other than that it is a really easy project. Here is how to make it. Using the template leaf as a guide, cut out leaves from the felt pieces. 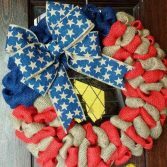 You will need a lot of leaves to cover the whole wreath. 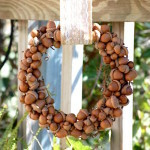 (The following step is optional, but it will add a beautiful effect to your wreath.) Take one leaf and fold it in half, lengthwise, in order to form a light crinkle at one end. Using the hot glue gun, add a small amount of hot glue to the crinkle and pinch it together; now your leaf is no longer flat. Use a binder clip to hold it in place and let the glue dry. Do the same with each other leaf. With the X-acto knife, cut out the center circle of the cake round, making sure to leave a border about 1’’ thick… that border will be the base of your wreath. 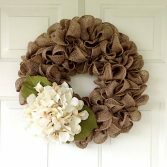 Alternatively, you can use a premade Styrofoam wreath, but you won’t end up with a flat wreath and you will need more leaves to cover it. 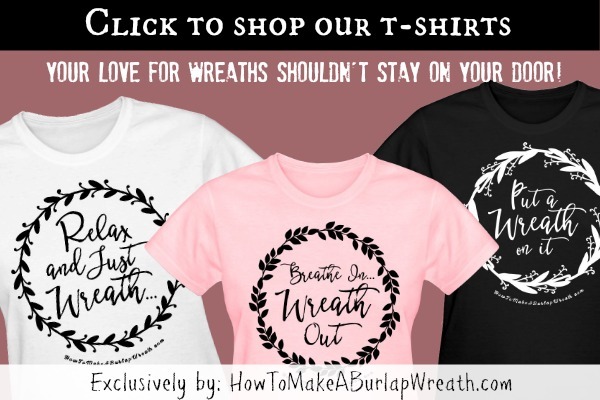 The next step is to arrange the leaves on your wreath, so you can decide on the way you want the wreath to look like and so you can be sure you have enough leaves. You can also make groups of 2-3 leaves by gluing them together on the clinched side. When you like your pattern, glue each leaf or leaf group onto the cardboard, making sure to start at the top. 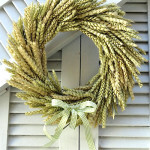 Continue gluing the leaves, overlapping them a little, until the whole wreath is covered. You can cover the other side as well, for a better finish. 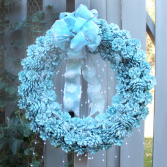 On the back top side of the wreath, glue a loop of ribbon or twine to use for hanging the wreath. And that’s it. 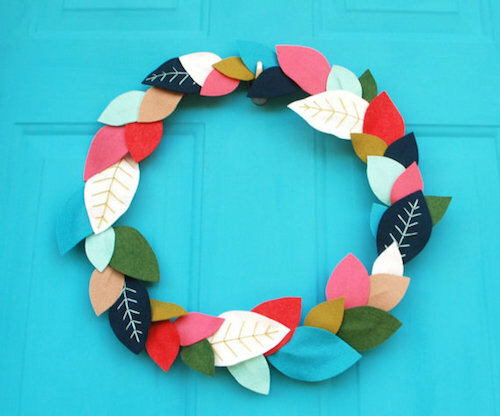 You can use other colors of felt to make this Felt Leaf Wreath and use it all year around, by choosing a color that will go well with the other colors of your home. 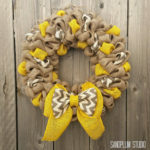 Even monochromatic choices can look stunning, since the felt adds an interesting texture to the wreath. Use some fun embellishments like woodland animals or felt flowers to complete the look. 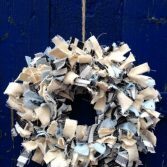 Love to work with felt? 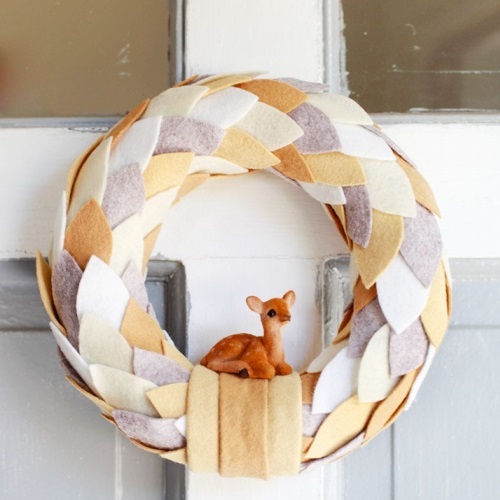 This other felt wreath tutorial is for you!